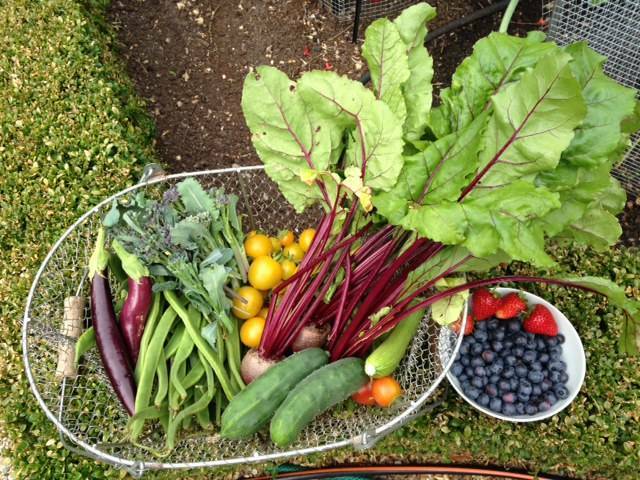 We are now well into the main harvesting season in Stephanie’s Kitchen Garden this month with trugs full of beautiful fruit and vegetables being delivered to the kitchen on a regular basis. The weather has been a healthy combination of hot, sunny and showers providing perfect growing conditions for all our crops. On hot and sunny days, we’ve been caring for our plants by keeping them well watered. This is a task we like to complete early in the morning before the temperatures begin to rise. 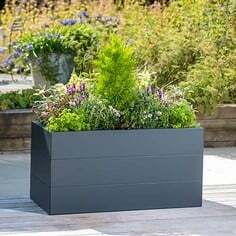 This is more beneficial for both crops and gardener alike! In the greenhouse, we have most of our plants growing in tomato success kits, tomato towers, quadgrow and duo grows. 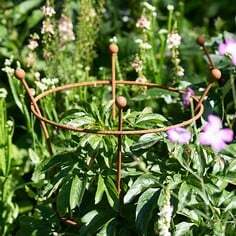 The plants really thrive in these as they have a constant supply of water. We like to wet the floor in the greenhouse on really hot days to increase the humidity which prevents the plants from losing so much water through their leaves. We have shading on the greenhouse to reduce the glare of the sun and our autovents on the windows are helping to keep air flowing through. 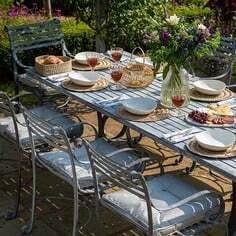 In the greenhouse, it is important to everything as clean as possible to prevent bugs and diseases from appearing. We are regularly picking off yellowing leaves from plants and cleaning the floor as well as keeping our shelves and potting bench clean and tidy. Our yellow sticky traps have remained quite clean this year which hopefully indicates a healthy, bug-free greenhouse. The hot weather this month has brought with it some pretty spectacular storms. These have provided plenty of moisture for our outdoor crops, but can also be destructive. Our sweetcorn suffered in the winds and had to be staked and happily is now continuing to grow well. It has also put our stormproof vegetable cages to the ultimate test and they have performed perfectly. The nets have gently fallen onto the crops without damaging them and kept them safe until the nets are put back up again. 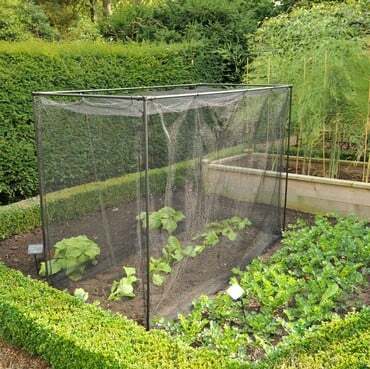 Earlier in the year we installed an insect mesh cover onto our main brassica cage as an experiment. It has totally paid off. Our brassicas are amazingly healthy with (as yet!) no sign of whitely or caterpillars. As an added bonus, it has provided a polytunnel-type growing environment in which the crops have thrived. We are hoping it will help us to continue cropping brassicas much later into the year. We’ll keep you updated on how it goes. Despite the storms, one of the main jobs of the month has been keeping all our crops well watered and fed. We have raised bed irrigation systems set up on timers which water the beds at night. We also have soaker hoses in our main beds which can be plugged into the normal hose pipe and help keep our longer term crops happy. Our greenhouse crops, along with our courgettes, beans and squashes are being fed weekly with liquid tomato feed to encourage flowers and fruit. Our leafy crops, such as brassicas are benefitting from six-weekly doses of fish, blood and bone. Our fruit bushes and trees are enjoying a weekly boost from liquid seaweed feed. Of course, as always, the weeds are loving the fertile conditions in the garden, so regular hoeing on a warm sunny day is essential to prevent them taking over. So far this year there is little evidence of any aphids or cabbage white butterflies making an appearance in the kitchen garden (I hope I am not tempting fate...). 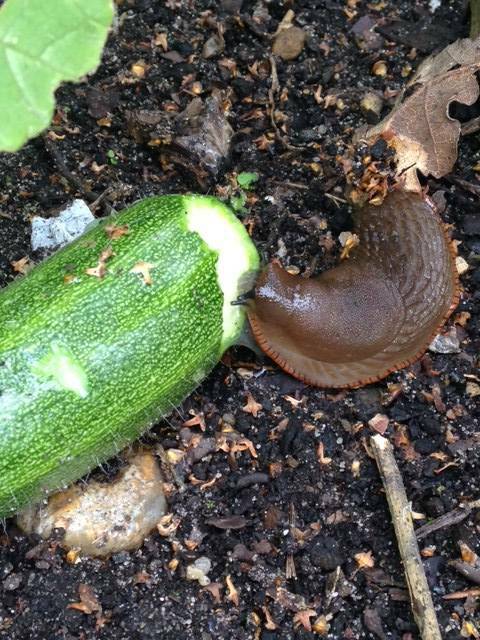 However this year we are suffering from a big slug attack. The warm wet conditions seem to have provided the perfect conditions for the most hated of garden pests. We have been applying nemaslug to our vegetable beds on a six-weekly basis all year, but have still suffered damage. The application of Strulch onto our raised beds has helped and we have been applying organic slug pellets around some particularly vulnerable plants and are managing to keep on top of the problem so far. It has caused some problems with new seedlings emerging through the soil so we’ve been raising our new plants in seed modules to keep them extra safe. 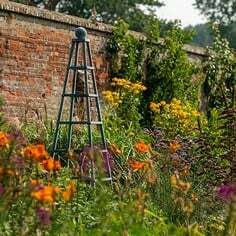 With all the activity in the Kitchen Garden this month, it is sometimes easy to forget about the coming months. 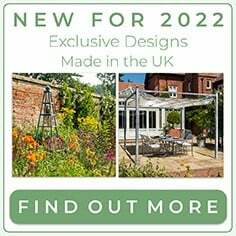 Although we have young seedlings growing to fill next year’s hungry gap, at this time of year we like to order a vegetable garden box which includes a large selection of young plants to fill the spaces freed up by harvesting. Ours arrived last week packed full of lovely young plants ready to be planted out. It was like Christmas working through the layers of the box and discovering the different varieties. 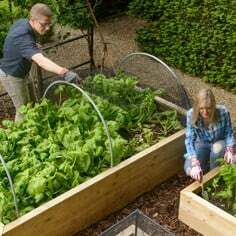 For salads in particular, this is a cost effective way of stocking your garden because they include so many different types of salad leaves that to buy all the seeds would almost cost as much. Especially good if you have had seedling disasters, or have simply forgotten to keep sowing for continuous growing. An important job in the Kitchen Garden this month was the pruning of our trained fruit. This is a hugely satisfying job to carry out on a lovely summer day. 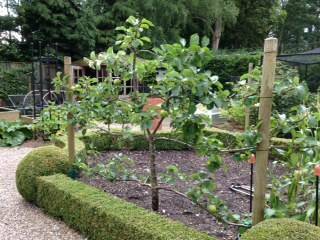 Armed with a sharp, clean par of secateurs and a wheelbarrow, Jo set about pruning our espalier apples trees. These had grown very strongly this year and needed attention to bring them back to their tidy and productive shape. Jo pruned the sideshoots from the main branches back to 3 inches long and shoots growing from previously pruned sideshoots to 1 inch long. They were soon back to their beautiful shape. 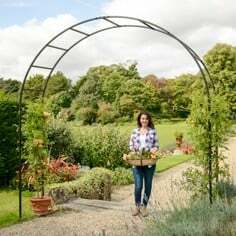 Our pear arch was pruned in the same way, but Jo needed a ladder for this one! This month we harvested some excellent onions and shallots. These were dried out and then stored in onion nets. Our garlic was not such a good crop due to an attack of rust earlier in the year. We will need to use these quickly as they are unlikely to store well. We have also been harvesting lots of lovely tomatoes. This year we have our own home grown plants growing alongside some grafted plants to compare the harvest that they produce. So far the grafted plants are providing fruit earlier than the normal plants. We will keep you updated with our comparison as the season progresses. This month we’ve also been harvesting courgettes, aubergines, cucumbers, runner beans, French beans, blueberries, strawberries, tayberries, blackberries, mangetout, broccoli and kohl rabi. Continue weekly foliar feed with liquid seaweed for fruit trees. Apply nemslug too beds and boarders every six weeks. In August we will be sowing potatoes and carrots undercover for our Christmas lunch! 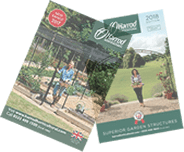 Our 116-page 2014 catalogue is out now and it's packed full of gardening ideas, products and solutions to the problems every gardener faces, plus plenty more seasonal ideas to help get the harvest in and keep it fresh!